Nestled in the Historic town of Forest Acres in Columbia, SC, which dates back to 1785 Rockbridge Village offers possibly the only new homes in the area. 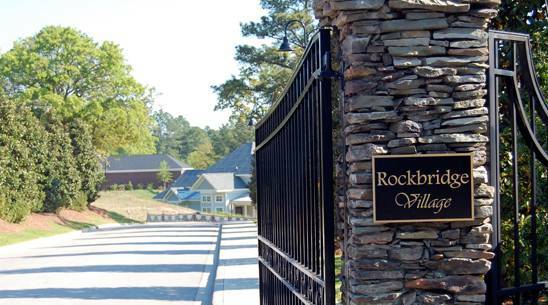 Rockbridge Village of Columbia is a gated community featuring luxury carriage homes that offer a lifestyle that preserves your cherished leisure time. From the mid $400s, carriage homes by Sovereign Homes range from 2,300 square feet to 3,000 square feet and include front lawn maintenance, private back yards, security systems, and 2-car garages. Other features of Rockbridge Village homes include GE appliances in the kitchen, ceramic tile floor in bathrooms and laundry room, smooth ceilings, crown molding, designer wood cabinetry, Delta faucets, tankless water heater and 30 year architectural shingles. Homes also have landscaped front yards with sod, shrubs, street trees and sprinkler system. Convenient to the shopping at Richland Mall and Trenholm Plaza, new homes at Rockbridge Village are located off Trenholm Road behind Forest Lake Presbyterian Church and adjacent to Rockbridge Club. Find the home of your dreams in Rockbridge Village!